Why have a plain old bauble when you could have DISCO SANTA! 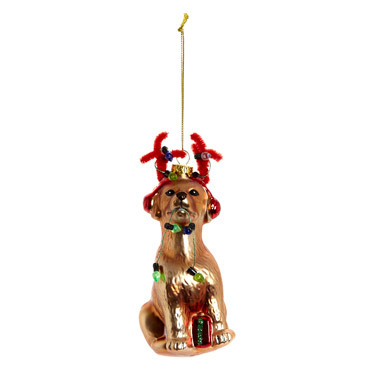 Baubles are so over. Tinsel? Eh. This year, we’re all about Christmas decorations shaped like dinosaurs, donuts, and our pop culture obsessions. Former STELLAR editor Kirstie McDermott is the queen of quirky decorations – she documents her growing collection on her Instagram, and to be honest, we can’t wait to see her tree. Inspired by Kirstie, we’ve sourced 12 beautifully gaudy Christmas decorations that will breathe new life into your battered old tree. HE’S A SAUSAGE DOG. AND HE’S AN ANGEL! 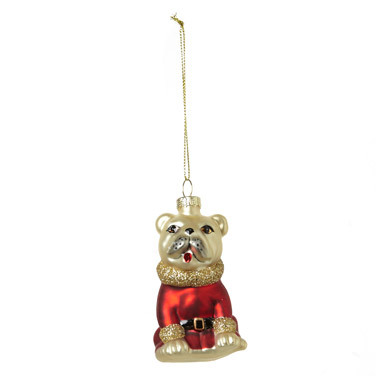 PUT HIM ON YOUR TREE. For the stir fry addict. Doesn’t he look very smart in his coat? If you’re not willing to go full kitsch, this cute rainbow is a lovely little stepping stone. But if you want to throw yourself headfirst into the kitsch, may we suggest the MARGARITA GLASS? A little nostalgia for every 2000s girl who craved a Motorola Razr. Such a good turtle carrying all those presents. Love him. 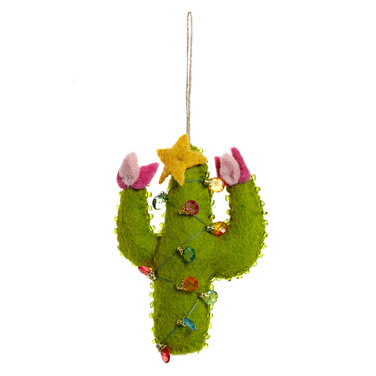 All cacti should be Christmas cacti. He’s got the moves, alright.